Rescuers work near an overturned Russian-made Tupolev 134 passenger jet at the airfield outside Osh, Kyrgyzstan.The packed TU-134 flipped over and caught fire on landing in the southern Kyrgyz city today injuring at least six people, officials and witnesses said. Amazing that all the passengers survived. 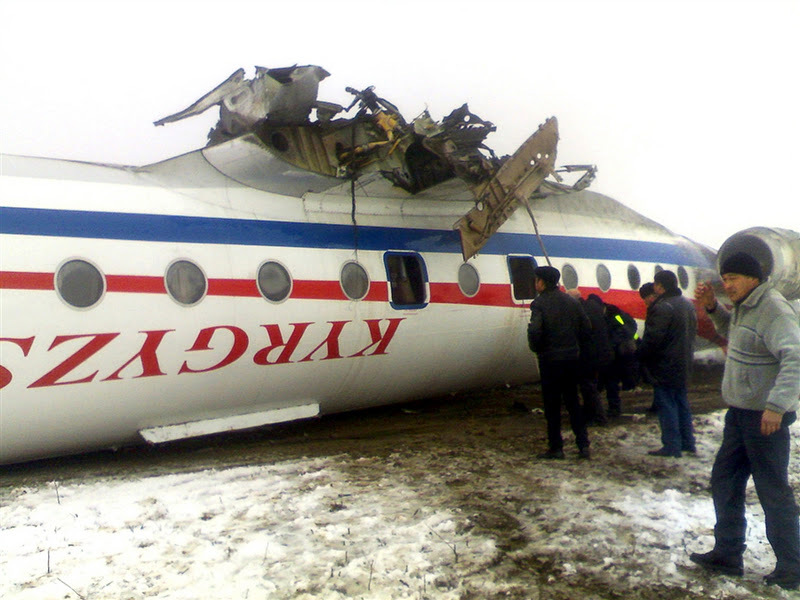 The Kyrgyz government says that 31 people have been injured in the crash-landing of a passenger jet. Kyrgyzstan's Health Ministry said the Soviet-built Tu-134 jet was carrying 95 passengers and six crew when it crash-landed in deep fog Wednesday at the airport of the southern city of Osh. Emergency Situations Minister Kubatbek Boronov said the plane flying from the Kyrgyz capital Bishkek was damaged when it made a rough landing in Osh. 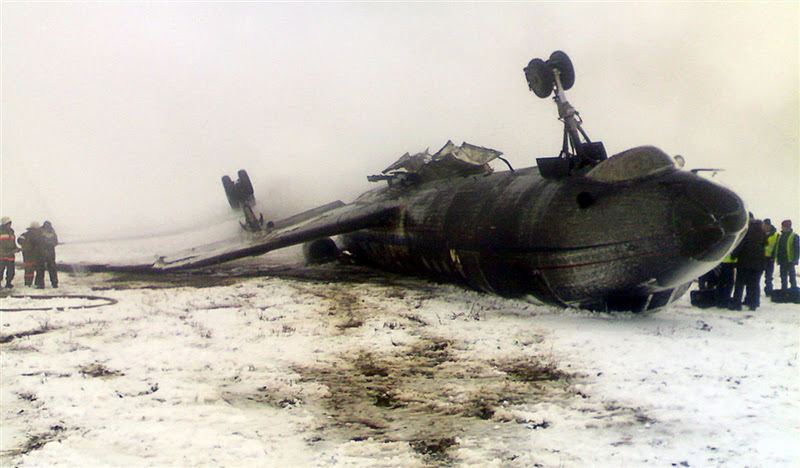 He didn't elaborate, but eyewitnesses said the jet rolled off the runway, broke its wing, overturned and caught fire. Boronov said that 17 of the 31 injured were hospitalized. The Tu-134 is a two-engine jet that has remained in service with many post-Soviet carriers. 3 responses to "Amazing survival story plane flips, catches fire on landing"
This is indeed a miracle! Perhaps, the passengers in this flight have still a mission to do on earth.